When I'm working I want to do it on my favorite mahogany home office table because I'm not just comfortable with it but it looks good as well. It has the drawers I need for my office accessories and its size is just enough for my need. I bought my table at the office near our church. They left their office furniture to the owner of the building and my church mate who works on the building let me buy some furniture at affordable price. 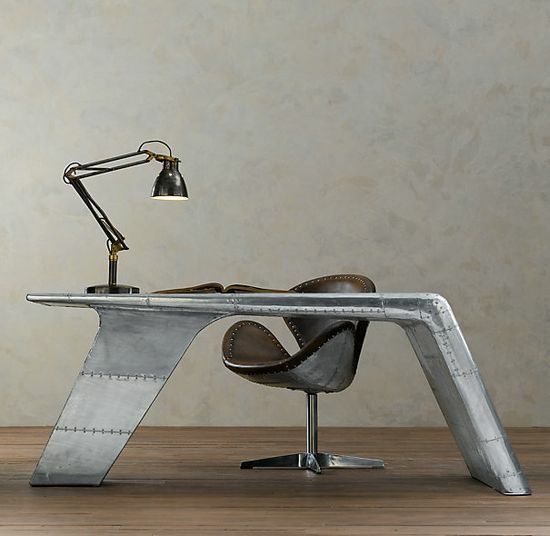 Now I need another table for my husband's working table also and this Aviator Wing Desk caught my eye as it's so masculine and elegant perfect as working table for men. It will suit any home office environment and will go well with any colors and furniture of the house. As we're both working at home the desk will go perfectly with my own home office table. How about you? What's your preference for working table?